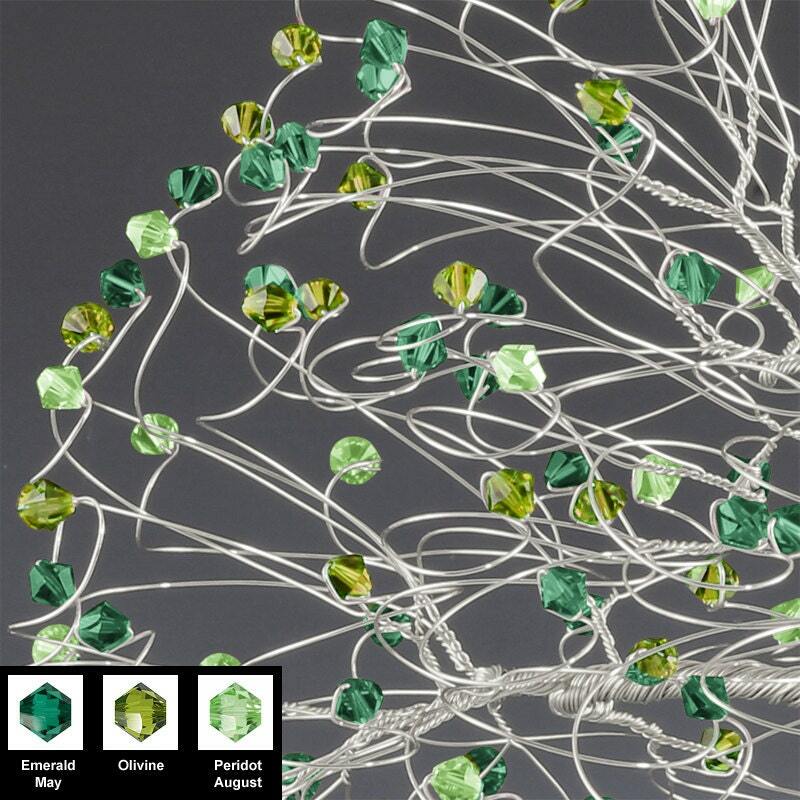 This listing is for a tree cake topper with genuine swarovski crystal elements in Emerald, Olivine, and Peridot shades of green. These colors are a great match for weddings or other events with summer or nature. To order your tree cake topper just select your wire color and choice of personalized sign or no personalized sign from the dropdown boxes and add to cart. If you choose to have your tree personalized please enter your personalized text in the message box located in the shopping cart. You may use up to 3 lines with 18 characters per line including spaces. Smaller versions of this cake topper are available to fit your budget or cake. 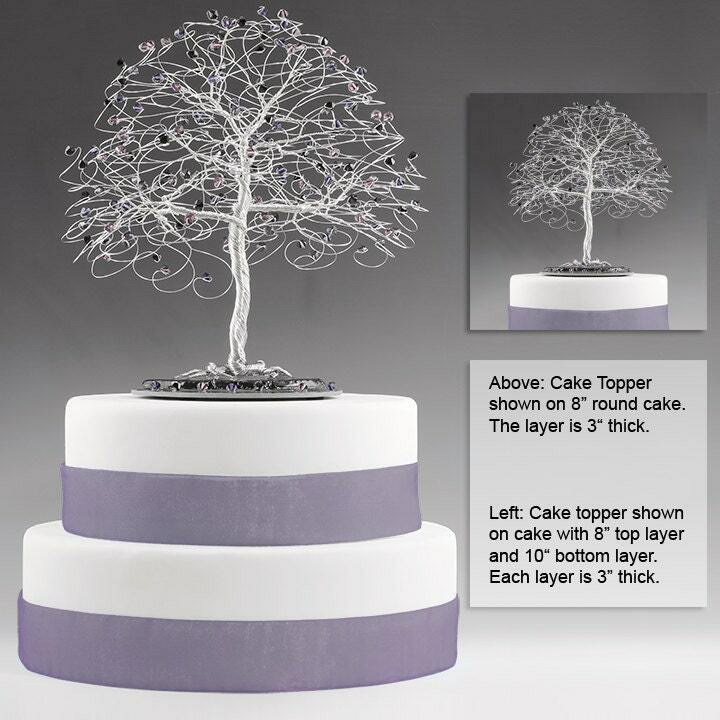 Contact me for assistance in finding the right tree cake topper for you! 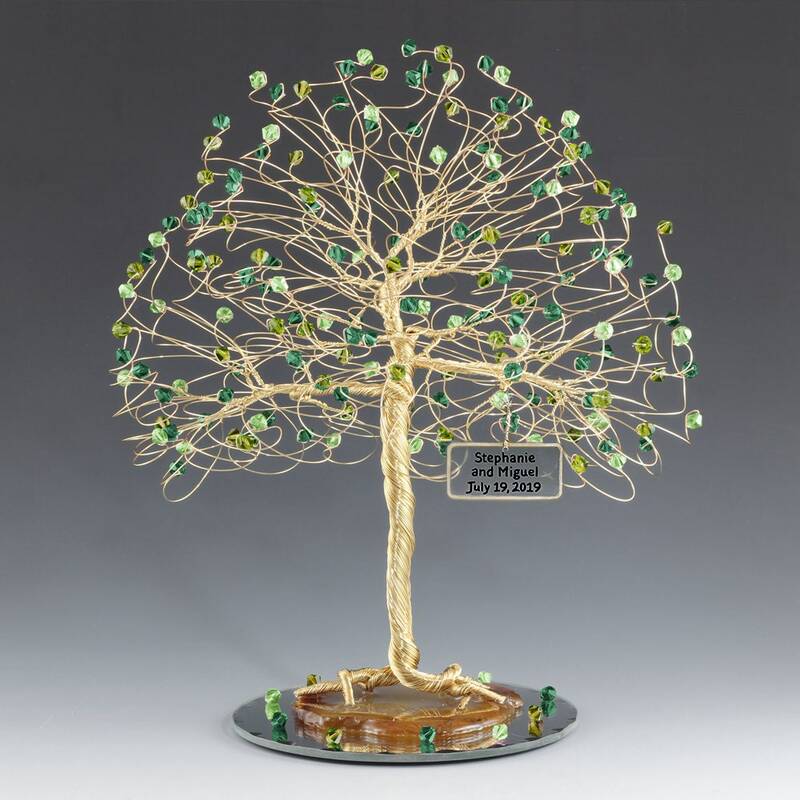 This tree cake topper measures approx 9" tall x 8" wide with every branch ending in genuine swarovski crystal elements in Emerald, Olivine, and Peridot. Created with your choice of tarnish resistant silver, gold, or copper wire. Tree base is brazilian agate stone mounted to a 5" round mirror and surrounded by a scattering of fallen leaf beads. The agate will be selected to complement the beads and wire. This will fit a 6" or larger cake top. Weight is about 14oz. This item comes with the option of a personalized sign. The sign is clear acrylic with a border and hanging wire to match your wire selection. This sign holds up to three lines with 18 characters per line including spaces. I make every tree to order so the tree you receive will not be the tree pictured. If you require a picture of your tree before I ship it I will be more than happy to send one. 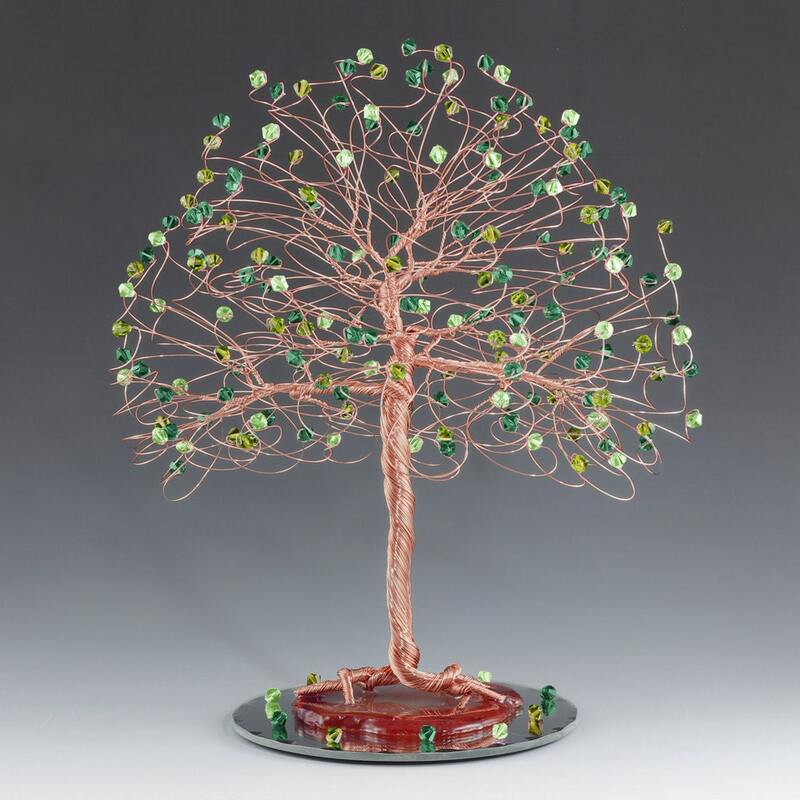 Your tree will look a lot like this one with the largest difference being the exact shape and color of the agate base. I always choose the agate slab that best compliments the wire and leaves of a tree. Please see the image that shows a closeup of the beads for sample images of the bead colors.